Moët Hennessy unveils an exclusive pop-up store for Hennessy in partnership with DFS in Changi Airport Terminal 3 to celebrate the Lunar New Year season. Why does DFS always get the fun? The Changi Airport luxury travel retailer will be celebrating Lunar New Year with a special, one-of-a-kind Hennessy pop-up store. Moët Hennessy tasked Shanghai-born contemporary artist Guang-Yu Zhang to come up with a special design called “A Joyous Reunion” for the store; the space will encompass experiential zones with interactive digital games, Hennessy’s bottle engraving service, limited edition offers, as well as exclusive gifts with purchase. The pop-up concept replaces a similar one by Moët Hennessy for Moët & Chandon that celebrates Christmas. The design by Zhang also extends to limited-edition packaging created for Hennessy X.O, Hennessy V.S.O.P and James Hennessy. After purchasing a bottle, travelers can also use the engraving station to add personalized messages to their bottles. Cocktail lovers may also want to try Firecracker, a Hennessy-based cocktail available at the pop-up throughout the season. “This partnership with DFS and Changi Airport Group gives us yet another opportunity to bring truly unique experiences to travellers at Changi Airport,” says Vanessa Widmann, Moët Hennessy Managing Director Travel Retail Asia Pacific. 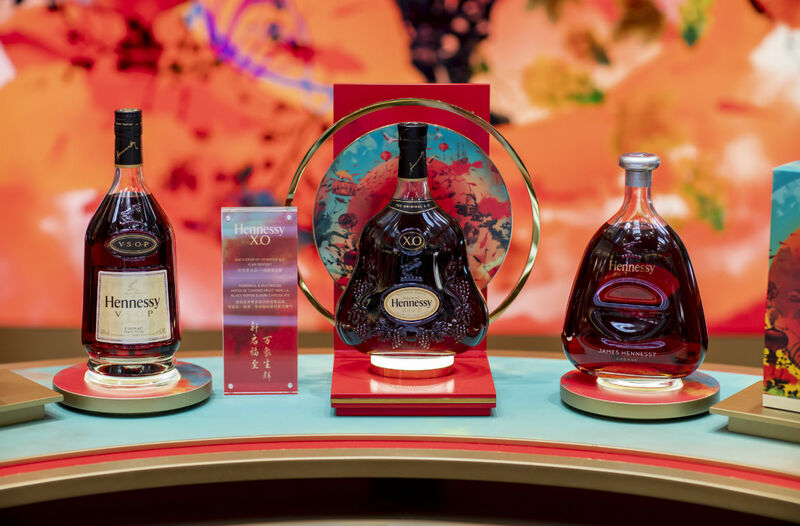 “We at Hennessy are also honoured to have collaborated with a world-class artist to deliver these beautiful, one of a kind Chinese New Year limited-editions for our travellers,” she adds. The Hennessy pop-up store in the departure lounge of Changi Airport Terminal 3 will run from now to 19 February 2019.